4-chlorobenzoic acid Price - ZhangJia Gang YaRui Chemical Co., Ltd.
Our company's 4-chlorobenzoic acid price according to the raw materials Potassium Permanganate, p-chlorotoluene, industrial grade quaternary ammonium salt A-1, concentrated sulfuric acid, ethanol price adjustment, price changes at any time, if there is a need to understand the price further, please contact us. 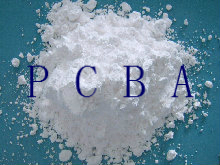 Our company provides high quality export grade 4-chlorobenzoic acid for you, at present the main export-oriented products, mainly export markets in Europe and the United States, Japan and other countries. The above is a description of the 4-chlorobenzoic acid price, if want to know further please contact us! If 4-chlorobenzoic acid Price product is not what you want, we can be customized according to your needs, please send us your order to Email: sales@yaruichem.com , or click here to post your buying lead.